The commercial products corresponding to this definition include, for example, the products sold under the name Celquat L 200 and Celquat H 100 by the company National Starch. 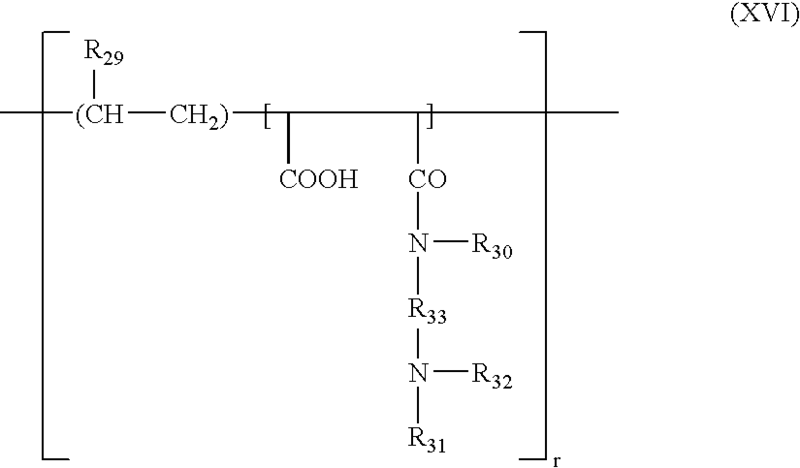 in which if q=0, R26, R27 and R28, which may be identical or different, are chosen from hydrogen atoms, and methyl, hydroxyl, acetoxy and amino residues, monoalkylamine residues and dialkylamine residues which are optionally interrupted by at least one nitrogen atom and/or optionally substituted with at least one group chosen from amine, hydroxyl, carboxyl, alkylthio and sulphonic groups, alkylthio residues, in which the alkyl group bears an amino residue, at least one of the radicals R26, R27 and R28 being, in this case, a hydrogen atom; of, if q=1, R26, R27 and R26 are each a hydrogen atom, and also the salts formed by these compounds with bases or acids. 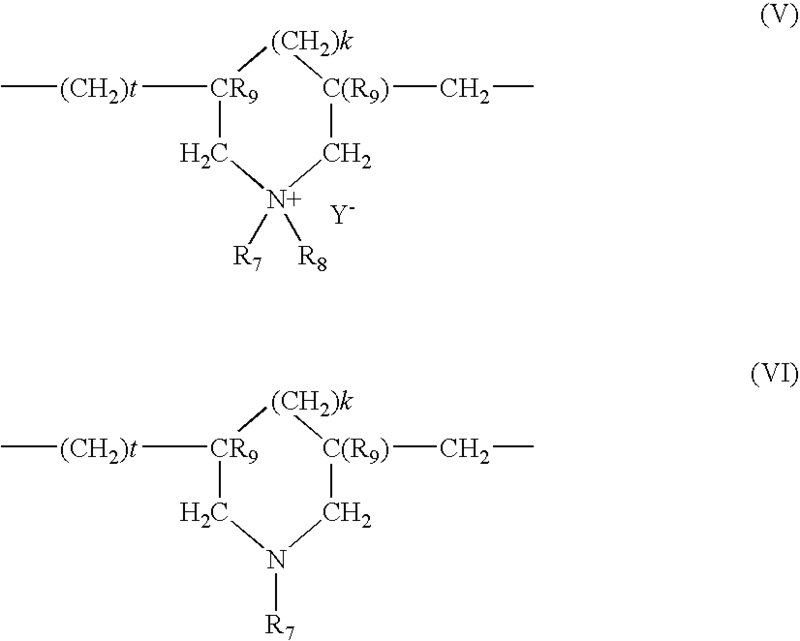 in which r is any number greater than 1; R29 is chosen from a hydrogen atom, CH3O, CH3CH2O and phenyl radicals, R30 is chosen from a hydrogen atom and lower alkyl radicals such as methyl or ethyl, R31 is chosen from a hydrogen atom and lower alkyl radicals such as methyl or ethyl, R32 is chosen from lower alkyl radicals such as methyl or ethyl, and radicals of the formula: —R33—N(R31)2, R33 being chosen from —CH2—CH2—, —CH2—CH2—CH2— and —CH2—CH(CH3)— groups, and R31 having the meanings mentioned above, and also the higher homologues of these radicals and containing up to 6 carbon atoms. at least one non-ionic associative polymer; wherein water is present in an amount greater than or equal to 55% by weight, relative to the weight of the dye composition. 3. The dye composition according to claim , wherein the at least one fatty alcohol is present in an amount ranging from 0.1% to 30% by weight, relative to the weight of the dye composition. 4. 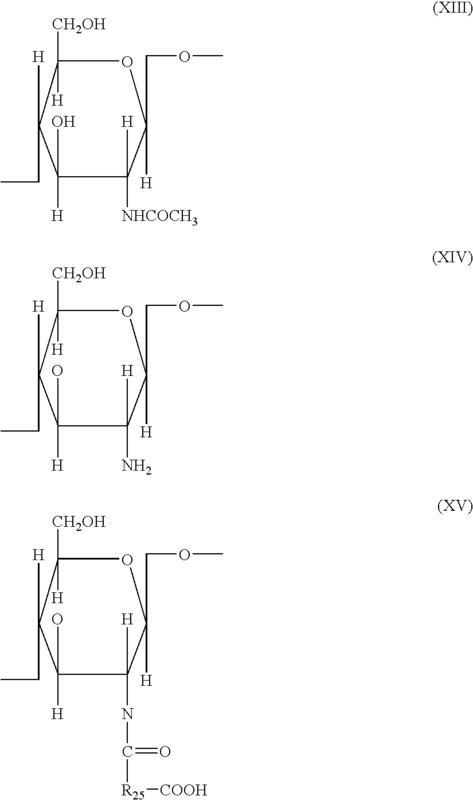 The dye composition according to claim 1, wherein the at least one fatty acid ester of a C1-C10 alcohol is chosen from monoesters of oleic acid, lauric acid, palmitic acid, myristic acid, behenic acid, stearic acid, linoleic acid, linolenic acid, capric acid or arachidonic acid, and of methanol, ethanol, propanol, isopropanol, ethylene glycol, glycerol, octanol, and decanol. 5. The dye composition according to claim 1, wherein the at least one fatty acid ester of a C1-C10 alcohol is present in an amount ranging from 0.1% to 30% by weight, relative to the weight of the dye composition. 7. The dye composition according to claim 6, wherein the at least one non-ionic surfactant is chosen from (C10-C14)alkylamine oxides and N-acylaminopropylmorpholine oxides. 9. The dye composition according to claim 1, wherein the at least one surfactant chosen from non-ionic surfactants and anionic surfactants are present in a total amount ranging from 0.1% to 40% by weight, relative to the weight of the dye composition. 10. The dye composition according to claim 1, further comprising at least one fatty substance other than the fatty alcohol. 11. The dye composition according to claim 10, wherein the at least one fatty substance is chosen from non-oxyalkylenated, non-glycerolated fatty acid amides; carboxylic acid monoesters and polyesters; mineral oils and plant oils. 13. The dye composition according to claim 1, wherein the at least one non-ionic associative polymer is present in an amount ranging from 0.01% to 5% by weight, relative to the weight of the dye composition. 14. The dye composition according to claim 1, wherein the at least one oxidation dye precursor is chosen from oxidation bases and couplers. 15. 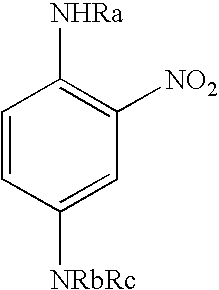 The dye composition according to claim 14, wherein the at least one oxidation dye precursor is an oxidation base, which is present in an amount ranging from 0.0005% to 12% by weight, relative to the weight of the dye composition. 16. The dye composition according to claim 14, wherein the at least one oxidation dye precursor is a coupler, which is present in an amount ranging from 0.0001% to 15% by weight, relative to the weight of the dye composition. 17. The dye composition according to claim 1, wherein the at least one direct dye is present in an amount ranging from 0.0005% to 15% by weight, relative to the weight of the dye composition. 18. The dye composition according to claim 1, further comprising at least one basifying agent. 19. The dye composition according to claim 18, wherein the at least one basifying agent is chosen from aqueous ammonia, alkanolamines and combinations of C2-C10 alkanolamines with alkali metal or alkaline-earth metal silicates. 20. The dye composition according to claim 1, further comprising at least one substantive polymer chosen from cationic and amphoteric substantive polymers. 21. The dye composition according to claim 20, wherein the at least one substantive polymer chosen from cationic and amphoteric substantive polymers is present in an amount ranging from 0.01% to 10% by weight, relative to the weight of the dye composition. 22. The dye composition according to claim 1, further comprising at least one oxidizing agent. English language abstract of DE 30 30 119 C2, Feb. 25, 1982. English language abstract of DE 38 34 142 A1, Apr. 12, 1990. English language abstract of EP 0 080 976 B1, Jun. 8, 1983. French Search Report for FR 0550841, dated Feb. 14, 2006. G. Fonnum et al., "Associative thickeners. Part I: Synthesis, rheology and aggregation behavior," Colloid & Polymer Science, No. 271, pp. 380-389 (1993).